Please contact me to claim your prizes ladies. We’re lucky in Glasgow that quite a number of wealthy people in the past died and left everything to the city, so we have these random pockets of massive houses and country parks in the middle of the city. One of them, Pollok Park, I’m rather fond of, so I decided it would be the perfect back drop for a little photo shoot yesterday evening. We’ve had some glorious weather so far for the Easter weekend, so it seemed perfect. Ideally I’d like to have got all the chimneys in this, but I think you can see the quilt was about to take off! It probably wasn’t helped by the curved railings. 6. You can’t see the quilt that well in this, but I do love this row of trees. It will be even prettier when all the flowers at the base of them come out. I'm so glad the weather played nicely and allowed you to take these lovely shots. Looks brilliant and the sunshine really helps set off your pics beautifully! Beautiful quilt in a stunning scenery! 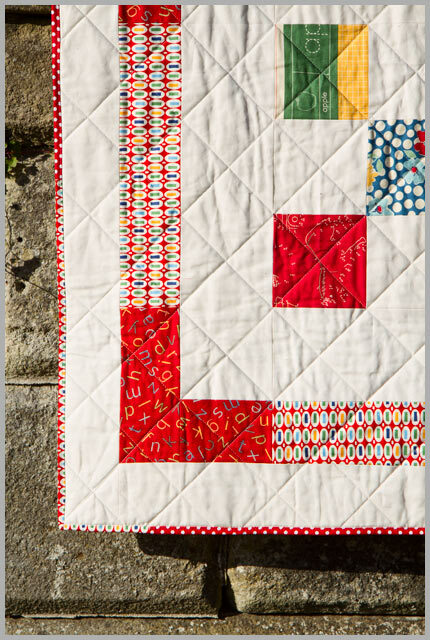 Lovely quilt, love the final stats…And the photo shoot is amazing! Love the quilt going up (or down? the stairs! Great photo shoot. Gonna try the invisible thread. Love your pattern. That must have been some night! Beautiful spot, and such lovely photos. I love the quilt too. Why do you like the invisible thread better for the binding? Beautiful, LT and Happy Easter. I'm glad you are having fun with your photography. 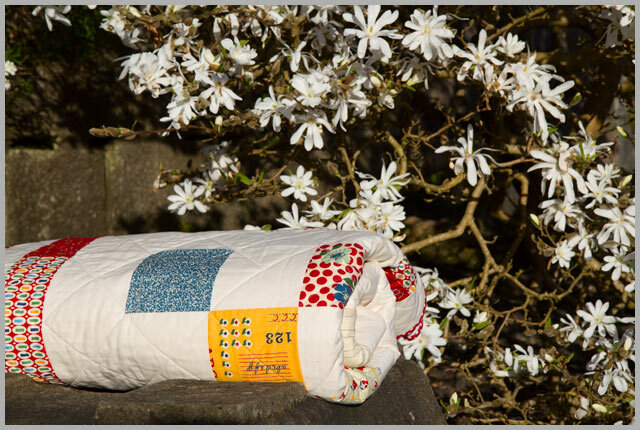 A very fun photo shoot for a lovely quilt. Happy Easter. 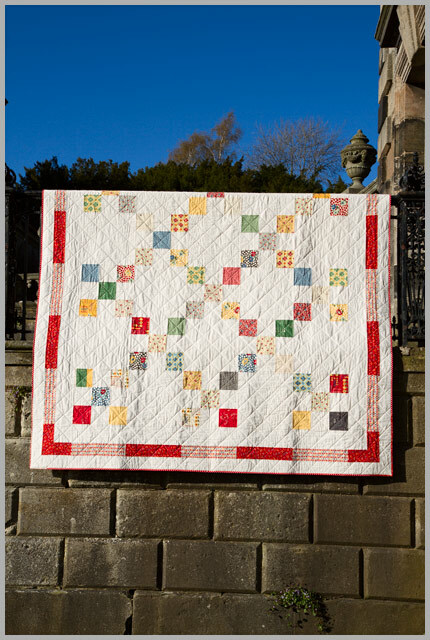 Darling quilt and love your photos! 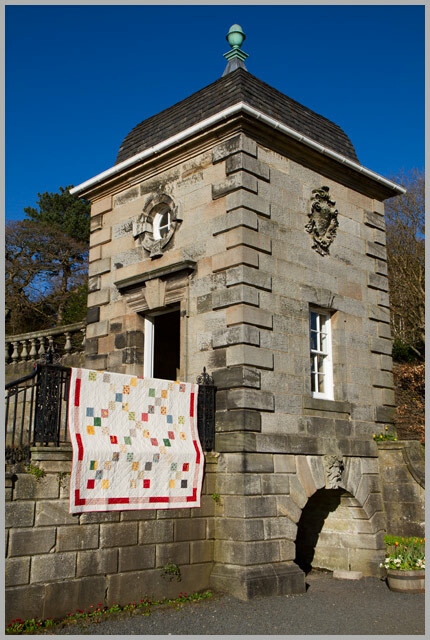 Beautiful quilt…lovely photo shoot places! Cool location for your lovely quilt. 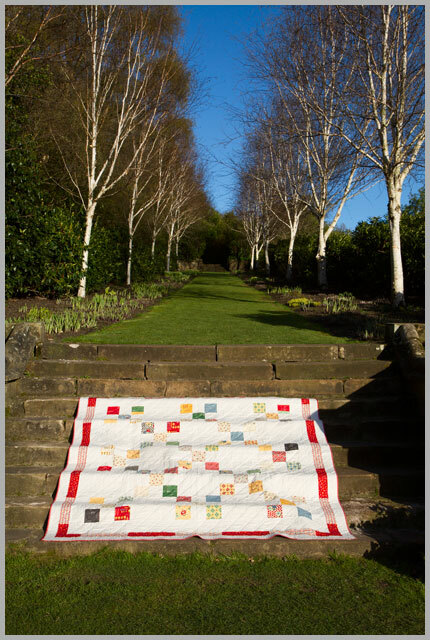 I keep meaning to find some interesting locations for quilt photography but I seem to keep ending up in the garden with them still! Love the backdrop for your photo shoot…thats really impressive. However the quilt is still the star of the show! 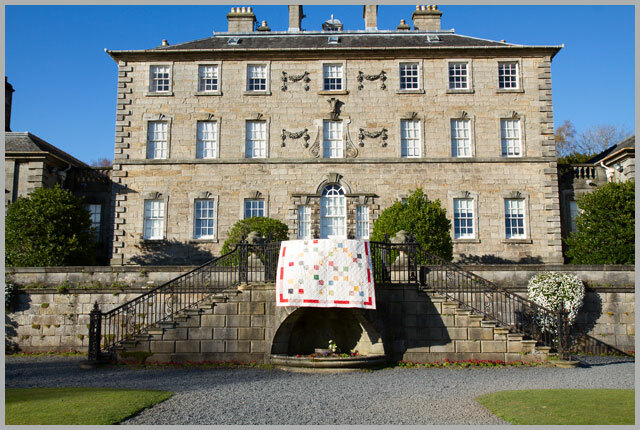 What a beautiful setting for your lovely quilt! Great photos. Gorgeous surroundings for your photo shoot, and the weather looks superb! How warm (cold? I'm Australian!) was it?